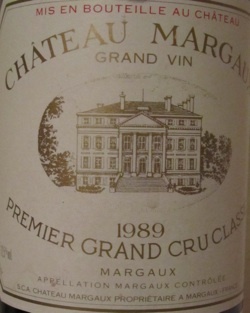 Thanks to the outstanding generosity of a friend myself and a small group of fellow wine nuts enjoyed a stunning quartet of vintages from Château Margaux last Saturday evening: 1990, ’89, ’86 & ’83. 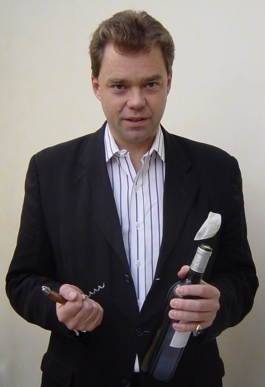 All four were in excellent condition and, while each taster had his or her own favourite, there was no question of trying to agree on a ‘winner’. That would be to miss the point altogether. 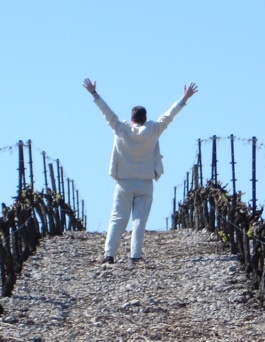 Margaux is probably the most delicate of Bordeaux’s first growths, relying on elegance and finesse rather than outright weight to make an impression, and it was terms such as those, rather than ‘power’ or ‘structure’, that kept recurring in my notes. Margaux is never flashy or dazzling. 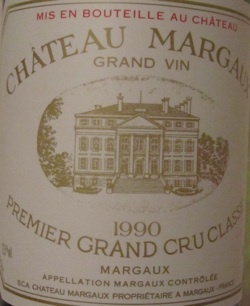 1990: Crisp nose, still remarkably fresh, almost raw, some dusty notes. Lean, thoroughbred elegance on the palate, no flab here. Still a little tight and focused, lovely tingle of fruit, vivid and fresh. 1989: Gentler on the nose, warmer and more inviting. Delicious succulent fruit on the palate, velvet textured with fabulous length. Probably the most ‘charming’ of the four. 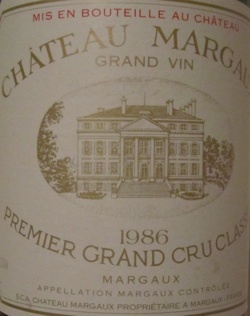 1986: Fuller and denser on nose and palate. After the 1989 quite restrained, stern even. Tannic by comparison with the others, with splendid fruit to match and balance it. Oodles of development yet to come. Good for another two decades or more. 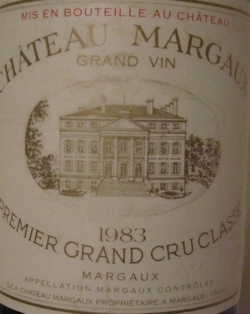 1983: A different wine altogether. Has moved onto another stage of development – settled down, married, with family and mortgage. Precocious youth is just a memory. The nose was simply stunning, round and inviting with mild savoury and herbaceous hints. Gorgeous, gentle ‘sweetness’ on the palate, like a polished pearl of flavour, seamless and elegant. Wonderful. Note: The wines were decanted and poured back into their (rinsed) bottles about one hour before the tasting.